Laredo bankruptcy lawyer Martin Seidler can handle your business and personal bankruptcy reorganization needs in a confidential and efficient manner. Since his main office is located in San Antonio, Texas, Laredo bankruptcy attorney, Martin Seidler is free from the many conflicts which arise when hiring a local counsel who may represent many persons or entities with interests adverse to the client. His trained professional staff located in San Antonio can efficiently assist you in obtaining the desired relief. 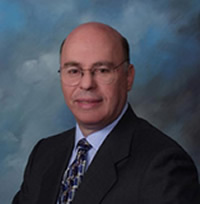 Martin Seidler has practiced in the State and Federal Courts in South Texas for over thirty years. He is a former Chapter 7 Bankruptcy trustee and Chapter 13 Bankruptcy Trustee in the Western District of Texas. He administered thousands of Chapter 7 cases as Trustee in San Antonio, Austin and Del Rio. His representative clients include many businesses and individuals. His practice includes both debtor and creditor representation in bankruptcy and reorganization cases. He also handles personal injury, wrongful death and probate matters. He has litigated sales of real property, including gas pipelines, free and clear of liens and has handled lien avoidance claims avoiding home equity liens, inventory liens and liens on oil and gas wells. This background and experience can be put to use in reviewing and suggesting a course of action to solve your financial problems. Mr. Seidler can work with your local accountant or lawyer to dispute and resolve IRS issues in bankruptcy court. He has handled various tax determination motions and lawsuits over the years in this regard and has assisted clients in repaying their tax debt through both Chapter 11 bankruptcy and Chapter 13 bankruptcy Plans. Filing a Laredo bankruptcy may be an option when your debts become too large to handle or your business is no longer viable. Bankruptcy is a powerful tool with which to manage or eliminate your financial problems. After your bankruptcy case is filed, your creditors are prohibited by law from contacting you in order to collect debt. They are also barred from suing you to collect pre-bankruptcy debt. Garnishments of wages or Social Security payments will also cease upon filing. Property repossessions will be halted. Certain liens (mortgages) can be avoided in Bankruptcy. In some cases, you may “redeem” (repurchase) certain types of property from secured creditors by paying the Court determined value of the collateral. In order to determine whether you are eligible for and will benefit from filing for bankruptcy, it is important to speak with an experienced bankruptcy lawyer. That is one in whom you can place your trust and confidence and one who will listen to your problems and correctly analyze them. Good Bankruptcy Attorneys will guide you through the bankruptcy process and assist you to achieve the desired result. Martin Seidler, has helped many clients throughout south Texas seek monetary relief through bankruptcy. He may be able to do the same for you. Filing for bankruptcy can seem daunting. Mr. Seidler understands this and can effectively assist you through this trying period in your life while giving you the respect that you deserve. Most people facing bankruptcy are concerned about their future, and the effects of the bankruptcy filing on their credit, their family and friends, and whether there is “life after bankruptcy.” All of these issues can usually be favorably addressed after a detailed consultation with Mr. Seidler. You should not feel afraid about a Laredo bankruptcy filing. Over one million hardworking people and businesses file for bankruptcy protection each year. The object of filing for bankruptcy is to get a “fresh start” and to live your life unencumbered by the debts of the past. In so doing you will be better able to control your finances and be able to look to a better life and a promising future. Martin Seidler has helped persons of all walks of life and professions through the bankruptcy process. 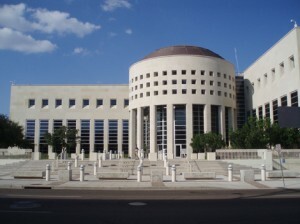 Representative clients of his include state officials, physicians, attorneys, accountants, law enforcement officers, wholesale and retail businesses, restaurants, oil companies, trucking companies, active and retired military and civil service workers, border patrol agents, game wardens, bankers, veterans, brokers, business owners, divorced individuals left with huge debt, victims of fraud, crime and huge credit card debt, ranchers, oilmen, farmers, independent truck drivers, individuals with large medical bills, divorced individuals burdened with sizeable debt and, just plain folks with too much debt to handle. Whether your need relief under Chapter 7 Bankruptcy (liquidation) , Chapter 11 Bankruptcy (reorganization), Chapter 12 Bankruptcy (farmer/rancher reorganization), Chapter 13 Bankruptcy (personal wage earner plan) or, if you need to defend a home equity foreclosure lawsuit involving a defective home equity loan, attorney Martin Seidler can give you the advice and legal services which you may need. His counsel based upon his extensive experience and concentrated background will enable you to place your problems and issues in perspective and hopefully arrive at a satisfactory solution. Usually there are several ways to remedy a problem. Mr. Seidler can help you choose which is the best course for you or your business. Mr. Seidler and his staff will guide you through the bankruptcy process. They will keep you informed during your bankruptcy case and assist you in making decisions which affect your future. To schedule an appointment to discuss your legal options, contact Bankruptcy Attorney Laredo Martin Seidler now! The Law Offices of Martin Seidler helps clients throughout south and central Texas. This includes Laredo, San Antonio, McAllen, Austin, Encinal, Freer, Hidalgo, Gonzales, Cotulla, Floresville, Brackettville, Quemado, Eagle Pass, Pleasanton, Pearsall, Benavides, Carrizo Springs, Bandera, Dilley, Crystal City, La Pryor, Hondo, Camp Wood, Utopia, Uvalde, Sabinal, Del Rio, Zapata, Hebbronville, Mission, El Cenizo, Roma, Sarita, Pharr, Karnes City, Kenedy, Edinburg, Comfort, Junction, Corpus Christi and Alice. The information on this Laredo Bankruptcy / Debt Relief Attorney / Law Firm website is for informational purposes only. The content on this or related pages should not be taken as legal advice. The information on this website is not intended to create and does not constitute, an attorney-client relationship.